Place an amazing image slider in post/page/portfolio post. Image Slider is a beautiful shortcode with amazing flexibility that produces best results. This responsive slider gives you full control of the slider with 7 different slider style, pagination/navigation configurations, slider configuration with amazing Transition Styles, Auto play on/off, slider delay time settings and more. 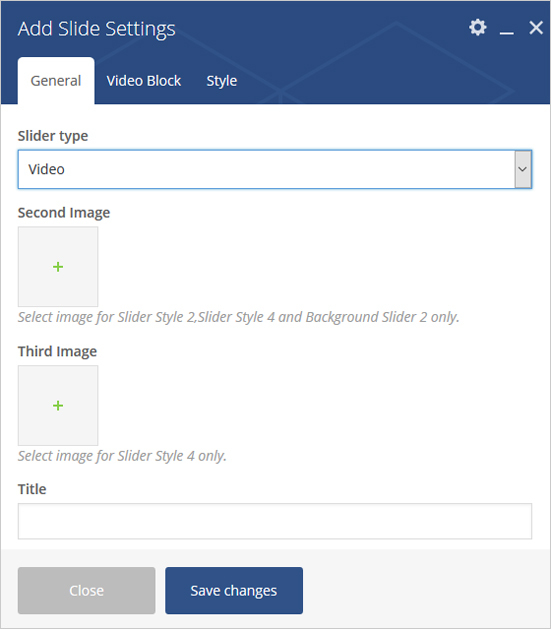 Please follow below steps to use “Image Slider” shortcode. Step 4: Click on Brando tab, it will show all shortcodes of Brando theme. Now click on “Image Slider” shortcode. Step 5: Follow below inputs/settings to set slider and go to next step to add slide. 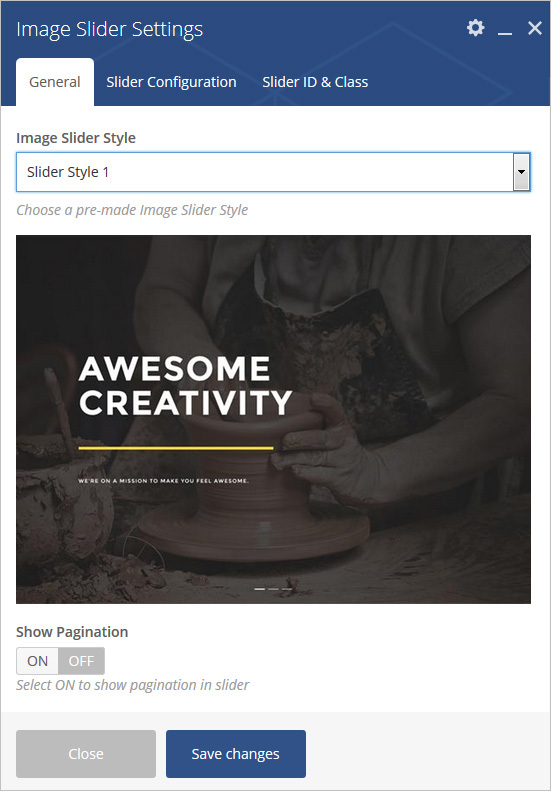 Image Slider Style – Select an image slider style from 7 pre-defined slider styles. Each slider style has preview image, it will help you to select best style you like. Show Pagination – Select ON to show pagination in slider. Show Navigation – Select ON to show navigation in slider. 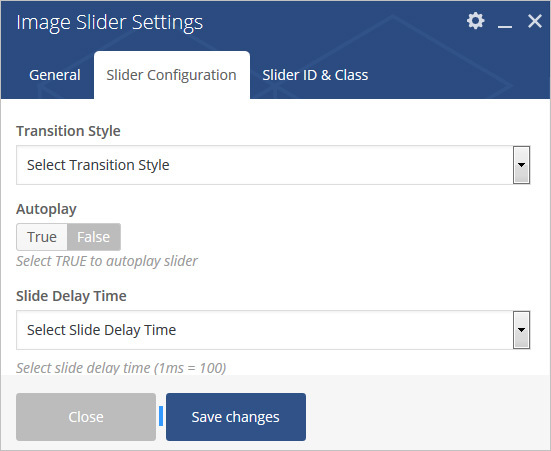 Autoplay – Select TRUE to autoplay slider. Step 6: Click on “+” button as show in below image to add slide for image slider. Step 7: Click on “Add Slide” as showing in below image. 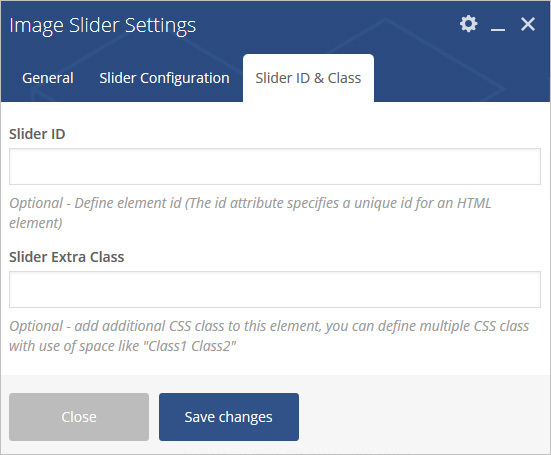 Step 8: Follow below inputs/settings and see “Image Slider” preview in frontend. Slider Type – Select slider type (Image or Video ). 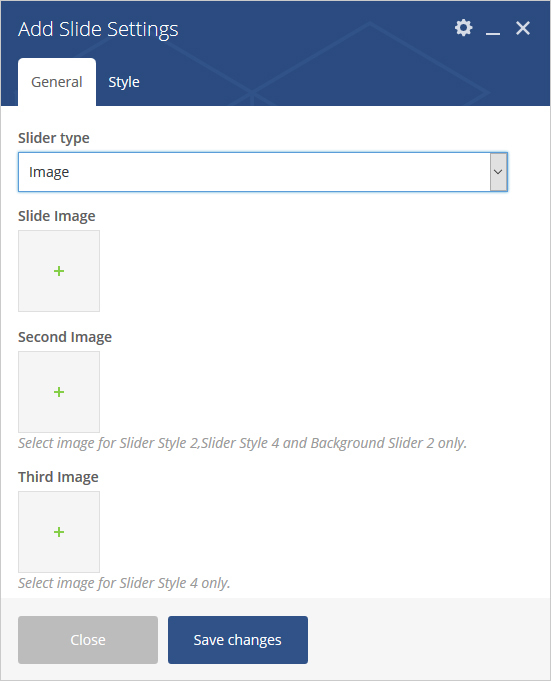 Slide Image – Select image for slide if slider type image is selected. 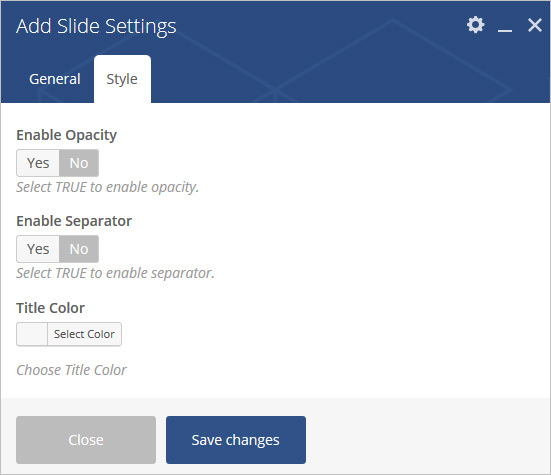 Slide Type – Select slider type (Image or Video). Video Type – Select video type (Self or External). MP4 Video URL – Add MP3 Video Url. OGG Video URL – Add OGG Video Url. WEBM Video URL – Add WEBM Video Url. Add Fullscreen Class – Add (full-screen) class in video wrapper div. Autoplay – Select Yes to play video automatic when page is loaded. 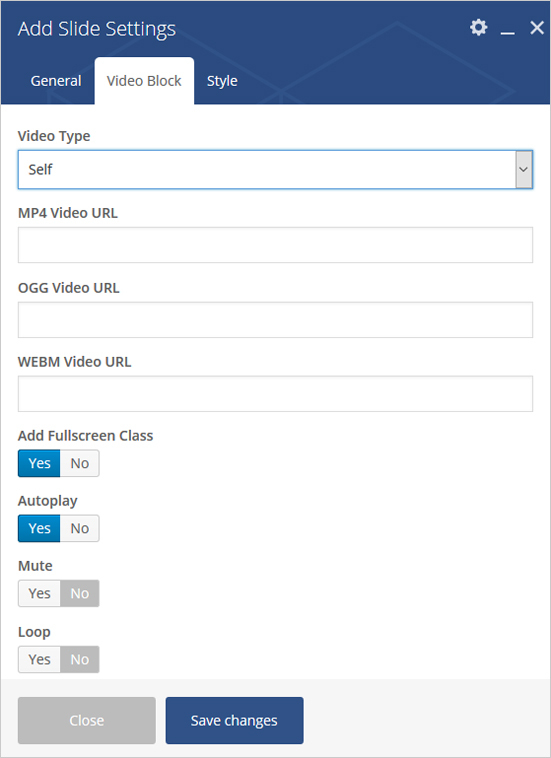 Mute – Select Yes to mute video. Loop – Select Yes to play video repeatedly. 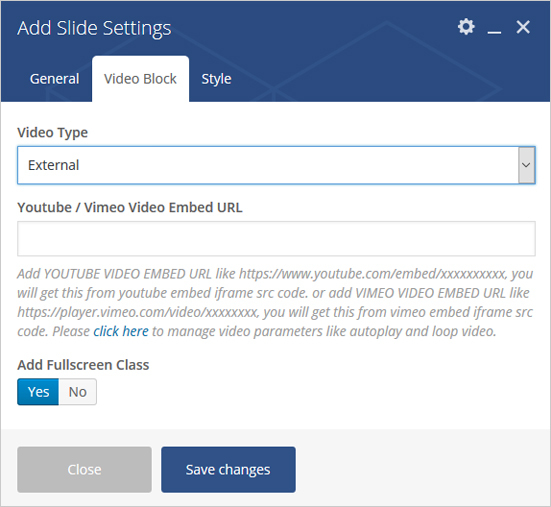 Youtube / Vimeo Video Embed URL – Add Youtube / Video embed url. Enable Opacity – Select yes to show opacity in image slide. Enable Separator – Select yes to show separator in image slide.